Dot's Cleaning are the perfect choice when it comes to clean up after your next move. With excellent service, highly competitive prices and a guaranteed bond return, you can't go wrong booking us for your Brisbane Bond Cleans. We do a complete clean, including oven, exhaust fan, cupboards, dishwasher, air-conditioners, walls, skirting boards, cornices, shower and recess, bath, tiles, windows, blinds, light fittings, window frames and more. We use high quality cleaning products, and have proven techniques to get your property back to as close to new as possible. Our no-hassle service even includes a bond return guarantee, meaning that if the real estate takes issue with anything we've cleaned, we'll come back and fix it for free. So to get moving on your bond clean, just call us on 0431 529 392, use our instant quote form, or shoot us through an email at info@dotscleaning.com.au. Dot's Cleaning specialise in oven cleans, getting even the dirtiest, greasiet of ovens up to a lovely shine. We use a strong mix of sodium hydroxide to move the most stubborn, cooked on fats. You don't need to hire multiple tradesmen with Dot's Cleaning. 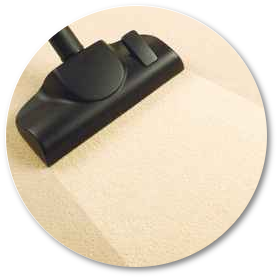 We offer a professional, real estate approved deep cleaning on the carpets, for a fraction of the cost of a stand-alone carpet cleaning service. Get the peace of mind knowing your cleaners are doing a good job. Dot's Cleaning clean your whole home, including walls, and with special attention paid to light switches, power points, doors and high traffic entry areas. Don't like waiting? Use the form below to get an instant quote! All quotes issued are valid for 3 days from the date of issue. Please note that the quote is an estimate, and may increase or decrease depending on the size and condition of your property. If your property is furnished, please call or email for a quote. Thanks for your booking. We have recieved your request and will be in contact within the next 24 hours. Thanks for your requesting a quote from us. We have sent your quote in the form of an email. If you have not received your quote within 15 minutes, please contact us to let us know. Thanks for choosing us for your booking. This Quote has been automatically generated on the following assumptions- That the property is in a reasonably clean condition, is empty at the time of our appointment, and that you have accurately entered all information for this quote. Dot's Cleaning reserve the right to increase this quote if any of the above conditions have not been met, or for properties of unusually large size. By clicking the button below you agree to be bound by our terms and conditions. Please note that bookings are not confirmed until we have contacted you and you have received a booking confirmation. By clicking the button below you agree to be bound by our terms and conditions. This quote is valid for 3 days only. If you would like to accept this quote, you can contact our friendly staff on 0405 290 215, or by replying to your email. Thanks for your booking. We'll be in touch soon. It's simple- if the real estate finds any issue with our cleaning, we'll come back and fix it for free, up to 7 days after the cleaning has been completed.